Chauncey Manac, a highly regarded defensive recruit in the Class of 2016, is transferring from the Georgia football program. His aunt, Beth Leviton, confirmed the decision Tuesday as she was on her way from south Georgia to pick up Manac. She said Manac will transfer to Garden City Community College in Kansas. Manac redshirted last year at outside linebacker, then moved to defensive line this preseason. That was a surprising move; Manac was expected to be on the two-deep at outside linebacker and play this season. Instead it appears Manac, a 4-star recruit (Clinch County H.S./Homerville, Ga.) who was rated as the 114th overall prospect nationally in the 2016 class, will continue his career elsewhere. Former LSU quarterback Brandon Harris started in his debut for North Carolina Saturday, but struggled in the Tar Heels' 35-30 loss at home to California. Harris, who started LSU's first two games in 2016 before losing the job permanently, completed seven of 16 passes for 60 yards and threw two interceptions. He also rushed for five yards on five carries. After being benched in favor of Danny Etling last season, Harris transferred to North Carolina in the offseason as a graduate. In Saturday's game, he played the first two series before giving way to redshirt freshman Chazz Surratt, who completed 18 of 28 passes for 161 yards and one TD. Surratt ran 16 times for 66 yards and one score. Surratt guided the Tar Heels on all three TD drives. Most recent game: Baldwin didn’t start but played during a 38-16 win over Southeast Missouri State. Most recent game: Barnett, who is Arizona State’s backup quarterback, entered during the fourth quarter and was 2 of 3 for 21 yards during a 37-31 win over New Mexico State. Most recent game: Bateman didn’t play during a 37-16 win over North Dakota. Most recent game: Cornwell didn’t play during a 31-20 loss to Northwestern. Most recent game: Del Rio didn’t play during a 33-17 loss to Michigan. Most recent game: Liner didn’t start but played during a 43-36 loss to Nebraska. He didn’t post any stats. Will Grier's numbers vs. ECU: 19-for-25, 352 yards, 5 TDs, 0 INTs. Pulled late 3rd quarter. Beckham, from Dayton, Ohio, played one game last season and recorded two tackles. He hadn’t played so far in 2017 and wasn’t listed on Kentucky’s roster ahead of the Wildcats’ game Saturday at South Carolina. Beckham was a 3-star prospect coming out of high school. He was the 58th-ranked cornerback in the 2015 class. #WVU QB Will Grier vs the blitz this year: 69%, 7 TDs, 0 INTs. Most recent game: Barnett was 1 for 2 for 19 yards with a pick-six in late action during a 48-17 loss to USC. Most recent game: Bateman didn't play during a 41-20 loss to Oregon. Most recent game: Cornwell left the Nevada program in late September. Most recent game: Del Rio suffered a season-ending injury in September. Most recent game: Liner posted five tackles, a shared stop for a loss and a quarterback hurry during a 37-21 win over New Mexico State. Most recent game: Thomas didn’t play during a 35-3 loss to Boston College. Ole Miss DB Deontay Anderson reportedly no longer wants to be a part of the Ole Miss football program. Per a report from USA Today’s Dan Wolken, the talented safety is seeking an immediate and full transfer release from the program on the grounds of allegedly being misled about the NCAA investigation into the Rebels football program. He is reportedly seeking the ability to be eligible to play next season after voluntarily sitting out this season. The grounds for his request are notable because Anderson, via his attorney Tom Mars, said he was recruited to Ole Miss under false pretenses and that both former coach Hugh Freeze and athletic director Ross Bjork misrepresented the status of the school’s NCAA infractions case when he signed in February 2016. If that attorney’s name sounds familiar, that’s because it is the same one who represented former Ole Miss coach Houston Nutt during his very public legal battle with the university over clearing his name from association with alleged NCAA violations that he did not commit. Ultimately, the matter was settled. Inside Wolken’s report, Mars claims that had Anderson known all the details that came out during the Nutt legal proceedings that he would not have signed to play for the Rebels. Candid ex-Alabama QB explains why he transferred, tells hilarious Nick Saban story. It's been four years since Luke Del Rio's one season as reserve quarterback. Since then, he's played both at Oregon State and Florida. Though he was eligible for a sixth collegiate season, the son of Oakland Raiders coach Jack Del Rio opted to call it a career after an injury ended his 2017 season. Luke Del Rio this week took some time to reflect on his unique college career appearing as a guest on the "On Q" podcast co-hosted by his former Gator teammate Austin Appleby. The interview included some candid talk about his time at Alabama, why he left and included quite a story about a time Nick Saban ended a practice a little early because of the freshman quarterback. The 18-year old knew he had to get it right. Amari Cooper was his receiver. "And I launch it," Del Rio said. "I think, 'Oh damn, I overthrew it.' I overthrew it so bad that he stopped running completely, didn't even try to stick an arm out. Just stopped. "Saban is still walking to get to 40-45 yards and I see the trajectory of the ball and I think 'Oh my God. No, no, no, no, no.' Saban gets to 40-45 yards and boom." "I nailed him right on the thigh," Del Rio continued. "Right next to, you know, that area. I don't hit it. I hit his leg but riiiight about there." The junior from Acadiana HS in Lafayette, La. saw no playing time during the 2017 season while carrying the ball just five times for 15 yards and a touchdown in 2016. Out of high school, Mouton was ranked a 4-star prospect that would be able to play at both the tight end and fullback position. Jarrion Street is coming home. Street, a running back at Hewitt-Trussville who moved to linebacker at Ole Miss, announced on Twitter that he's transferring to UAB. He has two years of eligibility remaining. Ole Miss players were offered the chance to transfer after the NCAA announced sanctions against the football program that included a bowl ban for the 2018 season. Street played in eight games in 2017, finishing with 10 tackles, after playing mostly on special teams in 2016. Street: "No place like home..."
Muschamp said Kaleb Chalmers will transfer. Kentucky junior quarterback Drew Barker will transfer for his graduate season, he announced Tuesday night on Twitter. Cincinnati is a possible destination. Barker played sparingly this season as Stephen Johnson’s backup. He completed 4 of 7 passes for 49 yards. Freshman wide receiver JaVonte Richardson will not return to Kentucky, a UK spokeswoman confirmed to SEC Country. Richardson will transfer to a junior college. Richardson, a former 4-star prospect, was Kentucky’s fourth-highest ranked signee in the 2017 class. He was the 42nd-ranked wide receiver in the class. Maple Heights, Ohio, native spent just one redshirt season with the Wildcats. He’s the fourth player this week to leave, joining transfer announcements from quarterback Drew Barker, running back Bryant Koback and defensive tackle Ja’Quize Cross. 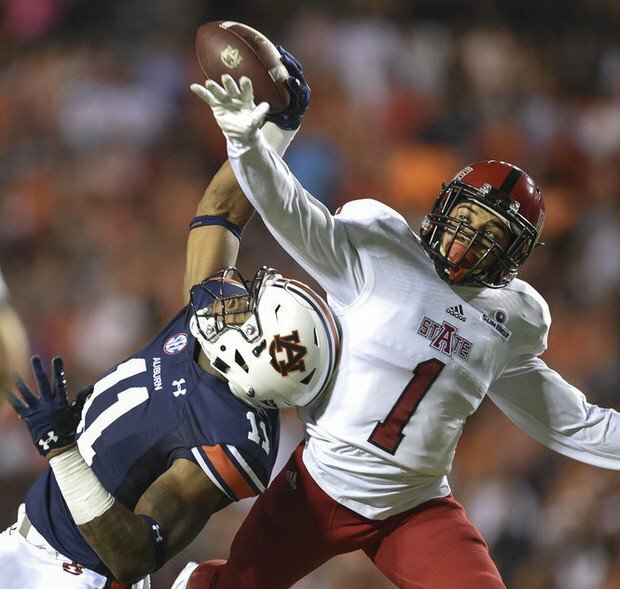 Former Auburn receiver Kyle Davis will be joining up with Lane Kiffin at FAU. 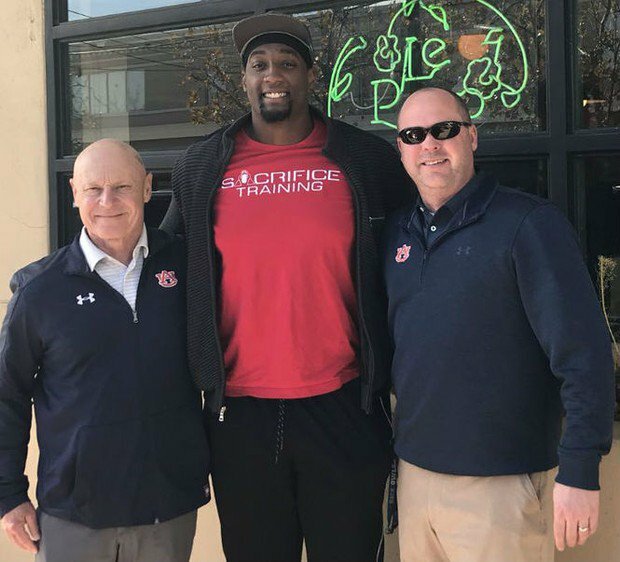 Lawrenceville, Ga., native then missed spring practice last year while handling what Malzahn described as "personal business" before returning to campus in May and rejoined the team on May 17 in time for summer workouts. Davis was expected to have a major role in Auburn's revamped offense under first-year offensive coordinator Chip Lindsey, but he was suspended for the season opener for unspecified reasons and appeared in just five games before missing the team's trip to LSU prior to his dismissal. Sophomore edge rusher Sci Martin will transfer from the LSU program, according to media reports. A New Orleans native from McDonough 35 High School, Martin played in five games as a freshman in 2016 and missed the 2017 season with an injury. Martin would have been stuck in a logjam at B-linebacker in 2018 behind K’Lavon Chaisson, Ray Thornton, Andre Anthony and incoming recruits Jarell Cherry and Travez Moore. 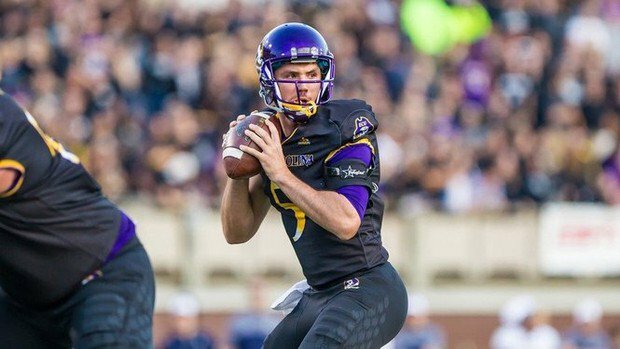 Martin will transfer to East Mississippi Community College, the transfer destination for former LSU quarterback Lindsey Scott Jr. and the location of the Netflix series Last Chance U.
Shea Patterson and Jacob Eason were two very hyped quarterback prospects in the 2016 recruiting cycle. They both ended up picking SEC schools and both started multiple games as freshman. And now, neither will see their junior year at the school they originally signed with. Patterson was the No. 4 overall prospect in the class, per the 247Sports Composite rankings. Eason was No. 5. Patterson made the decision to transfer to Michigan following the 2017 season. The NCAA dropped a number of penalties on Ole Miss, including another bowl ban for the 2018 season. Eason, the No. 2 quarterback prospect in the class, announced on Friday that he would be leaving Georgia. Tennessee quarterback Quinten Dormady plans to graduate and then transfer out of the program. Dormady, a junior from Boerne, Texas, started the first five games of the 2017 season, leading the Volunteers to a 3-2 record. However, he lost his job to redshirt freshman Jarrett Guarantano following a 41-0 loss to Georgia in October. Dormady underwent shoulder surgery in late October and missed the remainder of the season. He completed 76 of 136 passes for 925 yards and six touchdowns with six interceptions in 2017. As a graduate transfer, Dormady would be eligible to play immediately at the school of his choice. A&M has benefitted from running back transfers in recent years, and the Aggies may have secured their next difference-maker in the back field: UCF’s Cordarrian Richardson. Richardson played in eight games as a true freshman for the Knights, amassing 161 yards and two scores en route to a perfect season. Because Richardson never redshirted, he should receive three years of eligibility at Texas A&M after he sits out the 2018 season due to NCAA transfer rules. Per Ruth Robbins, former.UG QB Eason, a Washington state native, is visiting The University of Washington. The graduate transfer kicker that visited Alabama this past weekend is joining the Crimson Tide. Former Temple kicker Austin Jones announced on Instagram Monday afternoon that he's transferring to Alabama. Jones will compete with redshirt freshman Joseph Bulovas for the kicker job vacated by Andy Pappanastos. Florida native was regarded as one of the top kickers in the American Athletic Conference before suffering an ACL injury as a junior in 2016. Though Jones was healed for this past season, Temple went with a younger kicker who had earned all-conference recognition in 2016 after Jones got hurt. Jones was 37 of 45 on field goals the last three seasons at Temple (82 percent), including 23 of 28 in 2015 and 10 of 12 in 2016 before the injury. Oliver totaled 73 tackles in 23 career games during his career at Oregon. He started the Ducks’ 2017 season opener, but suffered an injury. He decided to transfer during the season, with his expected graduation date in December, so he’ll be allowed to play immediately at Missouri as a graduate transfer. In 2016, Oliver started seven games and had 46 tackles for Oregon. Missouri lost starting free safety Anthony Sherrills. Auburn's 2018 signing class was lacking in one area in particular when National Signing Day came to a close -- the offensive line. Alabama is interested in adding a graduate transfer at more than just quarterback. It's also possible the Crimson Tide could sign a grad transfer defensive lineman. And Preston Gordon from Rice is one of the names to keep an eye on. Gordon, a three-year starter at defensive tackle for the Owls, left Rice in January and has had some preliminary contact with Alabama. "If Alabama were interested, that's a top tier program and I would definitely be interested," Gordon told AL.com. "As a D-lineman, that's where it's at, so it would definitely be high, high interest." Tide is open to adding a grad transfer defensive lineman because of losing three of its top D-linemen from last season and because of only signing two defensive linemen in this year's recruiting class. 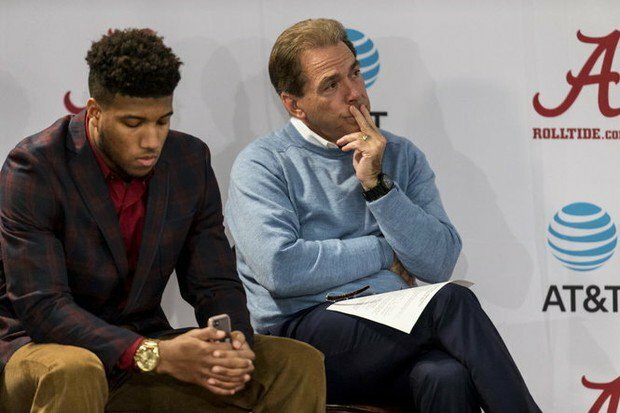 Coach Nick Saban mentioned at Alabama's National Signing Day press conference that the Tide will "continue to look and evaluate and see if there's somebody out there that can help us." Gordon has visited Texas Tech and Kansas. There has also been communication with schools such as TCU, Tulane, Syracuse and Connecticut. And now Alabama. A&M landed a commitment from Trevor Wood on Wednesday. The graduate transfer tight end from Arizona will be leaving the program that Kevin Sumlin just took over in favor of the program that recently let him go. Due to the NCAA’s graduate transfer rules, Wood is expectedly to be eligible to compete for Jimbo Fisher’s Aggies this fall. Stanford graduate transfer quarterback Keller Chryst has committed to join the Vols after his official visit last weekend. Tennessee returns quarterbacks Jarett Guarantano and Will McBride who started a combined seven games in 2017. Both came to Knoxville as dual-threat quarterbacks for Butch Jones’ spread system. Offensive coordinator Tyson Helton will shift to a pro-style scheme. Tennessee added grad transfer kicker Ryan Tice on Monday evening, providing depth to the position behind sophomore Brent Cimaglia. That’s according to a report from 247 Sports’ Ryan Callahan. Tice joins the Vols by way of Michigan, where he has played sparingly. He made all 10 of his extra point attempts with the Wolverines but missed his only field goal try, which came in 2016. According to Callahan, Tice will walk on at Tennessee. He’s expected to have two years of eligibility in Knoxville. 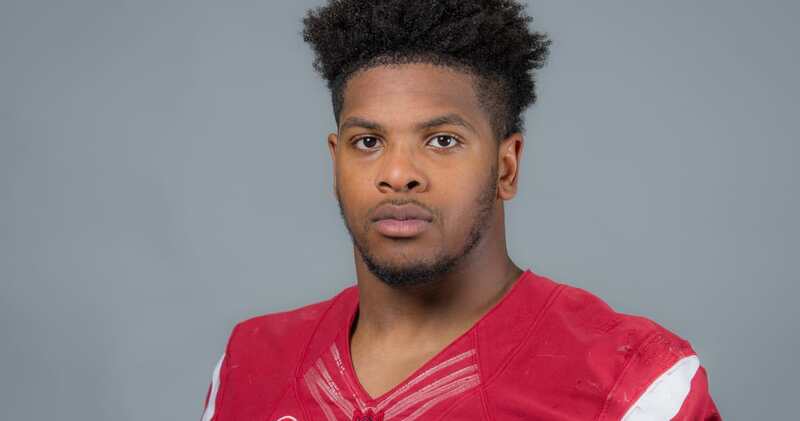 Eli Brown’s decision to transfer came from nowhere given the playing time he saw in his sophomore season at inside linebacker, and Mark Stoops admitted Monday he was at least a bit surprised. And then Stoops, who said he wasn’t specifically talking about Brown, spoke quite a bit about the need for accountability. “We’re going 100 miles an hour right now,” Stoops said. “It’s full force accountability. You better be doing what you’re supposed to be doing 24/7. Some guys are gonna like it, some guys aren’t. Just in general, guys need to lose weight, guys need to gain weight. Certain positions we weren’t big enough last year, and we need to get bigger. We need to get stronger, and they have some personal accountability to do those things whether it’s eating, lifting, going to class, going to tutors — there’s a lot of things. Brown was undersized at inside linebacker, and while Stoops said he wasn’t directly referring to Brown, the response was at least an indirect reference to him. Decision day: Will Rice grad transfer offensive tackle Calvin Anderson choose Auburn? Rice graduate transfer left tackle Calvin Anderson is set to announce where he will spend his final year of eligibility. The 6-foot-5, 300-pounder will make his decision between Auburn, Oklahoma, Michigan and Texas, the perceived favorite. Anderson tweeted Thursday that he planned to "shock the world."